Black Friday is now single-handedly the biggest retail trading day of the year! With huge discounts on so many products it is obvious why people flock to buy up Christmas presents and probably a few gifts for themselves too! This year, I want to give you girls not only the gift of fitness but also the gift of an amazing new wardrobe!! 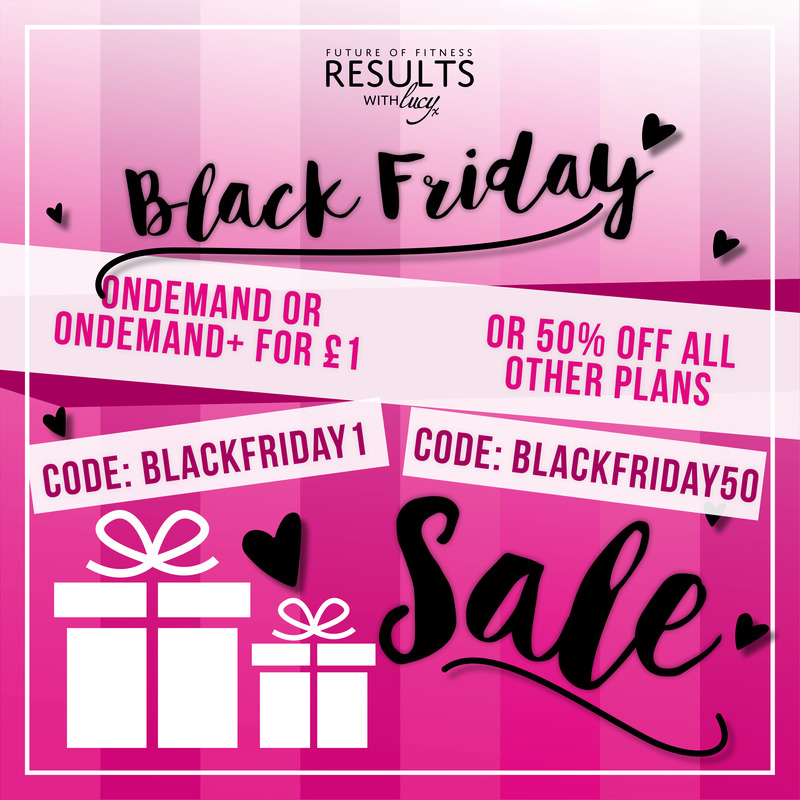 For one day only, my online fitness and nutrition site, Results with Lucy will be offering OnDemand+ for just £1!! Usually, £17.50 per month this bargain deal is perfect to get you feeling fit and ready for the party season. With OnDemand+, you will get access to over 350+ workout videos and 400+ healthy and nutritious recipes – including some festive ones! Healthy mince pies….HELLO!! For just £1 you might as well try it and fall in love with Results with Lucy like so many other girls have done! And if you are after a new wardrobe then head over to Lucy’s Boutique for a range of huge deals throughout the day! With flash discounts from 30-40% off, you can grab yourself a festive dress or a winter coat. I won’t give away what discount is when though or that would spoil all the fun!!! Keep an eye on our social pages so you don’t miss out.